Prof. M.M. Pant (www.mmpant.net) is an internationally renowned expert specialising in pedagogy, technology and the development of tools and curricula for 21st enhance the pedagogy using latest available technologies. He is especially noted for his efforts in leveraging social media for improving learning and bringing the mobile into the classroom where it has been traditionally banned. Prof. Pant's current work and interests revolve around the development, delivery and promotion of educational products, processes and services that cater for the needs and interests of future learners, a framework that is named “Learning 221”. He has been a visiting scientist at European research centres in Italy, England, Germany and Sweden. Prof. Pant is the founder of the LMP Education Trust, an organisation that supports under privileged learners. Vishal is a leader and serial entrepreneur in areas of mobile, media and hi-tech industries . He has started and run many startups like etruevalue.com, India Venture Group and most recently CellStrat. Vishal has expertise in planning, sales and marketing of mobile products, services, e-commerce and media consulting. Vishal, in his recent endeavor at CellStrat, specializes in strategy, platforms and applications related to mobile media, mobile web and systems integration. CellStrat is a management consulting and mobile solutions firm working in industries as diverse as mobile / telecom service provider, media/advertising, retail and manufacturing, high-tech and financial services. Vishal has published white papers on mobile media and mobile advertising in prominent magazines in India and abroad and is a speaker in leading conferences. 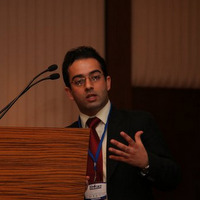 Vishal is an organizer and convener for CellStrat Executive Forum, CellStrat”s executive leadership seminars in India. Vishal holds an MBA from University of Western Sydney in Sydney, Australia. Anurag brings years of entrepreneurial, leadership and IPR domain experience to the founding team of Ashmar. In 1999, Anurag co-founded VxTel, a successful fabless semiconductor company providing silicon solutions for VoIP infrastructure. Anurag led the worldwide firmware team at VxTel and helped grow the company from 5 people to over 160 in 2 years. In 2001, Intel acquired VxTel for $550 Million in cash. 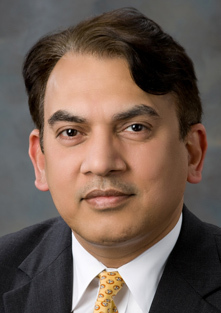 Anurag has held various technical and management positions in companies such as Intel, Conexant Systems, Rockwell Semiconductor Systems and AT&T Bell Labs. He holds 15 US patents and has over 15 other patents pending, and is a past recipient of IEEE Capocelli award for paper in Data Compression Conference. He is a Charter member of TiE Southern California. He is also a member of the Pan-IIT Leadership Council and a recipient of 2008 IIT Kanpur Alumni Award for Entrepreneurial Leadership and Technology Innovation. Anurag received the B. Tech. degree from the Indian Institute of Technology, Kanpur, India, the M.S. degree from Princeton University, and the Ph.D. degree from the University of Hawaii, all in Electrical Engineering. Vivek is the founder and CEO of EnglishEdge, a premium English learning programme. EnglishEdge has at its core, the unique Blended Learning Methodology that leverages the power of technology to make learning scalable. EnglishEdge has a tie-up with BBC Active and University of Cambridge. Vivek did his MBA from Indian Institute of Management, Calcutta, where he was awarded the B C Roy memorial prize for organisational ability. He has been a regular feature in conferences and seminars in India and has also spoken in the UK and USA. He is passionate about education and is committed to exploring the use of technology to make high quality education and training available to a very large number of people at a cost that they can afford and at a place they can reach. Prior to creating EnglishEdge, Vivek had co-founded eGurucool. eGurucool emerged as the pioneer in the field of elearning in India, combining a unique learning methodology and a huge infrastructure of technology and content creation processes. The Investors included Newscorp and IFC, Washington. eGurucool was subsequently sold to NIIT. A former Editor with The Times of India and the Indian Express Groups in India, Jha also founded, mentored and seeded a couple of dozen social projects with a focus on technology, business strategies and public policy in the areas of universal access to education, healthcare and bridging the digital divide. He is a member of the UN-GAID (United Nations Global Alliance for ICT and Development), Special Advisor to the Kofi Annan Center and co-chairs the World IT Forum (WITFOR). He studied international affairs at The Fletcher School of Law & Diplomacy and has an MBA from EDHEC/ Thesues in France. His co-edited work with Leon Strous on "ICTs for Development and Prosperity" was published by IFIP in late 2007. 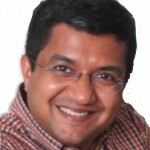 Anurag Agrawal heads the iProf Live & Distance Learning businesses at iProf Learning Solutions. He was previously the India CEO for Novatium Solutions, an Ericsson associate company. Anurag has experience of over 19 years across sales and distribution, customer life-cycle management, service marketing, customer relationship management and business development. He has been instrumental in launch of telecom service across various markets in India with operators like Essar Cellphone (currently Vodafone), Spice Communications and Reliance Infocomm. He has also had a stint with ICICI Limited in infrastructure projects division handling long term financing of telecommunication projects in India. Anurag has done his PGDM from IIM, Lucknow and engineering bachelors from BITs, Mesra. In 2001, Atul co-founded Enabling Dimensions, a company based in Singapore and India, providing bespoke elearning experiences for organisations like WWF, UEFA, Michigan Virtual University and companies like Nokia and ITC. Enabling Dimensions has creating elearning solutions to help corporate managers better understand sustainable development, made math and science more fun for middle school students, facilitated blind students improve their English spellings while playing a game and sensitized the youth about the adverse impact of doping. Timeless Lifeskills, a company based in the UK providing learning solutions to impart 21st century skills like self-learning, critical and creative thinking, financial literacy, learning-to-be and more. One of the youngest patent holders in India, Kinner is an Entrepreneur, speaker, and an Educationist. After a short stint with Siemens, UK, he started Scientity Inc. from Newcastle University in UK with his friends. Kinner also holds various other portfolios such as Director - Avshaun Diagnostics, Editorial Director - Liveo Magazine and Joint-Project Director Alabbar School of Management at Raffles University. Kinner holds various patents in the field of Robotics, IT and Siesmology. With a Masters degree in Industrial and Commercial Biotechnology from Newcastle University and an Executive program on Innovation & Entrepreneurship from Cambridge University, Kinner is a believer in convergence of different disciplines to achieve cutting-edge breakthroughs . He loves sharing his thoughts in various conferences and other platforms on technology, innovation, convergence and success. A brown belt in Kung-Fu, a second degree Reiki practitioner, Kinner loves to read philosophy and about ancient scientific practices. Mr. Manoj Pant is a C.E.O. at Shankh Inc., Mumbai. He is also M.D. Roamware India & V.P. Global Support at Roamware Inc B.Tech. from I.I.T. Kanpur in 1973. He has over 38 years experience across high technology complex businesses with a high Customer service focus. He has been Head -Application Services , Customer Service at Reliance Infocomm now Reliance Communications Ltd. and VP Network Operations at Hutchison Max Telecom Ltd. Mumbai He also has been V. P. Corporate Affairs /Network Operations at Hutchison Telecom, India (Now Vodafone, India). A graduate in economics from KMC, Delhi University and a postgraduate in communications management from the Mudra Institute of Communication, Ahmedabad (MICA) with a specialization in advertising account planning, Lovely is a City & Guilds certified training professional who has over the last 15 years worked with a variety of organizations both corporate (NDTV, Ushak Kaal Communications, Ma- Foi Consulting Solutions Ltd., Ma Foi Academy and IKH ) and academic (AIMA, Icfai Business School, Icfai School of Financial Studies, BIMTECH etc). This blend ensures that she brings to the table a unique perspective and insight. She is certified in the Extended DISC personal analysis, Thomas International's PPA-HJA & TAS. Currently is pursuing a Masters in Science in Learning Facilitation and Management from Concordia University, Chicago. She is also certified on the ROI methodology. She has worked with clients such as Wipro, HP, Phillip's, Prometric, Pipal Research, Macmillon Publishing, HECL, City & Guilds, Intertek, CSC etc. A hotel management graduate from the Indian Institute of Hotel Management, Aurangabad (IIHM-Taj group) and a diploma holder from the American Hotels and Motels Association (AHMA). Anila Rattan is the Chief-Strategy of LARKS, a specialist training company. She is a City & Guilds, UK (a premier organization in skill certification) certified training professional with over 15 years of experience in corporate training delivery, program structuring, content development and training consultancy. She is certified in the Extended DISC personal analysis, Thomas International's PPA-HJA & TAS. She is also certified on the ROI methodology. Currently is pursuing a Masters in Science in Learning Facilitation and Management from Concordia University, Chicago. Her last assignment was at IKH & prior to that she was the training head-north, Mafoi Academy. She has worked with a variety of premier organizations such as the Taj group of hotels, GECIS, Lifelong Appliances, City & Guilds, All India Management Association (AIMA) and Ma foi Consulting Solutions Limited. Prof. G. D. Sharma has done his Ph.D. in Economics from Bombay University and Masters in Economics from Jodhpur University. Recently retired as Director-(a position Equivalent of Vice-Chancellor of Central University) Consortium for Educational Communication (CEC), New Delhi- an autonomous organization of University Grants Commission (UGC) New Delhi. 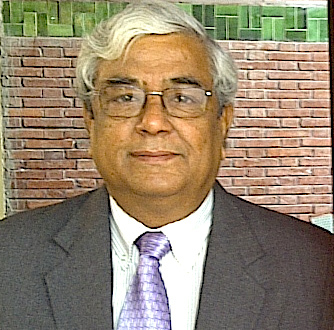 He served CEC as Director from October 2003 to March 2007. 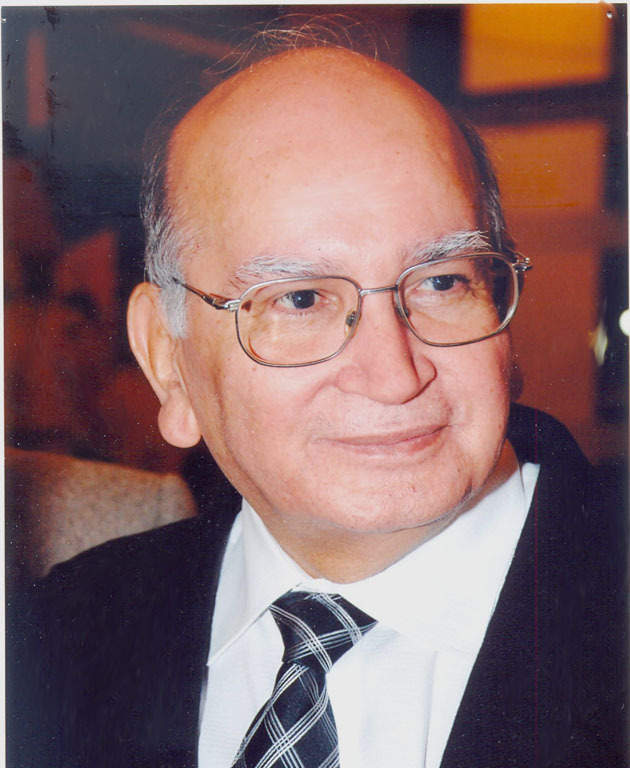 Prior to this he served as Senior Fellow and Head, Higher Education Unit, NIEPA, New Delhi till September 2003, now renamed as National University of Educational Planning and Administration (NUEPA). He was Secretary, University Grants Commission (UGC), New Delhi from 1996 to 1999. Also has served as Director, Indian Institute of Education (IIE), Pune and as a Consultant of UNESCO, UNDP and IIEP, Paris. He was the Chairman of the Committee on Higher Education of Punjab Government. He was also lead consultant for developing report on Higher Education in Andhrapradesh. He has published 12 books and 55 research papers. His major areas of work, particularly research and consultancy, include planning and management of university education, equity, quality and financing of higher education, trade in educational services under GATS: WTO regime. He was awarded D.Litt. Degree (Hon. Cause) by Nagarjun University, Andhrapadesh. Chief Executive of Planet EDU, comes with over 22 years of hands-on experience in the services industry, with specialization in the MICE (Meetings, Incentive, Conferences & Exhibitions), IT and Educational services businesses. With specialized skills in Computer based systems analysis, Project design, Testing and Implementation, he is the architect of Planet EDUs proprietary products, “ExtraLearn- learning facilitation system”, “ExtraBack - educational back office solution”, which has serviced over 650,000 learners in the last 6 years with an average support to over 150,000 learners annually. 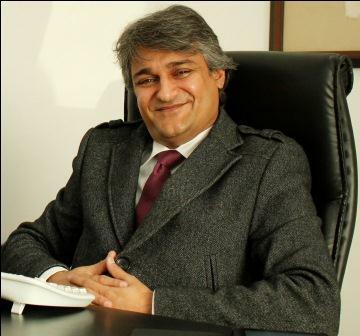 As the Chief Executive of Planet EDU, Sanjay provides leadership, management and operations expertise to the overall functioning of the company with excellent man management skills and specialization in international networking. He also takes responsibilities of the strategic international business development for Planet EDU and has successfully taken the company from the start to managing businesses worth about 12.5 million GBP annually. Mrs. Rachna Pant took over as the Principal of Ramjas School, R.K.Puram, New Delhi on Monday, 7th April 2008. Prior to this Mrs. Pant as Director, Academics, had been instrumental in setting up an International School at Bangkok, Thailand. The school, the first and only school in Thailand with CBSE Affiliation offers IGCSE as well as IB Curriculum and has 13 schools across 7 countries of the world. 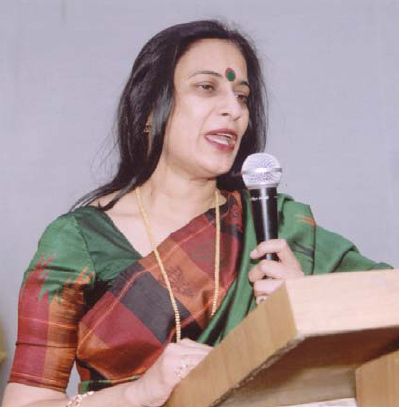 Mrs.Rachna Pant, winner of the National Teacher Award, 2003 and several other prestigious awards, a dynamic and multifaceted personality, is well known in the academic world for the numerous innovative changes she introduced at the Summer Fields School, Kailash Colony, as the Principal from 1998 to 2006. She is trained in design management and User Research from National Institute of Design, Deepti has more than 16 years of professional experience in the field of Design reserach and Innovation. In her career as design strategist and forecaster, she has done research and innovation assignments with Samsung, Volkswagen, Colgate and Palmolive, LG mobile phones, Pl constructions,P&G Singapore etc, She is formally trained in the craft of filmmaking from FTII, Pune and has worked with ravidespande productions in the area of ad films and corporate films. And as a student, she has worked with Saeed Mirza and Vishal Bhardwaj. She has been head of Onionxt :The Trends and innovation Division Of Onio Design, Pune and Director - Strategy at Centre for Knowledge Societies. Currently she is the founder director of Ralibha : which is an ethnographic research company using design research tools to understand consumer needs and future trends and PALIYOON DESIGN & FILM HUB that caters to visualization and creation of Graphic design, exhibition design and film and animation solutions. Prof. Marmar Mukhopadhyay, beginning as a village school teacher, was involved in Policy Making and Planning at the highest level in India. Former Director of NIEPA and Chairman of National Open School, Prof. Mukhopadhyay was Vice-President (Asia) of ICDE (Oslo), Member Steering Committee of IMAGE (Washington D.C.). He is consulted by UNESCO, UNICEF, World Bank, COL, British Council, NIIT, IBM, INTEL, etc. He represented India in many international forums. He is author of many books, papers and articles; best known among his books is Total Quality Management in Education. He is Director of ETMA and chairman of the ETMA Council. Navyug Mohnot is an alumni of the Indian Institute of Technology, Delhi. Post that, he went to the US to do a PhD from the University of Rochester. He pioneered the concept of Operational Excellence and contributed to growth of the IT industry on the bedrock of quality. He was awarded the IIT Alumni Award for "Outstanding Contribution to National Development" for his contribution to the space of Operational Excellence to the IT industry. In a survey by Dataquest, he was recognized as 1 of the 50 leaders who have shaped the Indian IT industry. Under Navyug’s stewardship, QAI has grown from a single location entity to a trans global organization with offices all over the world. It has also gone on to become the thought leader in this space. Navyug Mohnot has been a strong evangelist of Operational Excellence and has spoken at various conferences around the world.